Sidney Lumet passed away last week. His passing is a huge loss to the filmmaking community. He was an inspiration to countless in the film industry and even more in the admirers of his works. A few years ago, I made a break from my steady diet of current films and blockbusters. I made this shift in movie watching by taking in some of the classics of Lumet. The first was Serpico, a great film and true story of Frank Serpico, a police officer in New York, who went undercover to expose widespread corruption in the police force. What a fantastic film, including a wonderful turn by a young Al Pacino. Pacino and Lumet would work together again in 1975 on Dog Day Afternoon, again a retelling of a true tale, this time surrounding a bank heist in New York, that ended badly, but became a live media sensation as the heist shifted to a hostage situation. Lumet's body of work is vast, and through his 2007 film, Before The Devil Knows You're Dead, Lumet averaged a film a year. What is amazing is that nearly every film through his career was either critically acclaimed or well-recieved by general audiences. 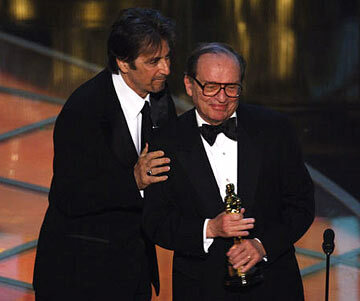 Sidney Lumet was nominated for four Best Acievement in Directing Oscars...he won none. In 2005, the Academy recognized his work with their Honorary Oscar for Lifetime Achievement. It was well-deserved. If you ever have the chance, read his book, MAKING MOVIES. It is must-read for anyone who has even a passing interest in the movie industry. Lumet's book along with William Goldman's Adventure in the Screen Trade, stand as great works in the written word on film. Lumet's daughter Jenny has blossomed into a filmmaker as well, having written the 2008 film, Rachel Getting Married. Directed by Jonathan Demme, this film was extremely enjoyable, also due in part to the wide range of Anne Hathaway. I am glad the Lumet flag will continue to fly. "If you put it on film, Al, it's a movie." Lumet's life was making movies...I for one, and happy he walked this path. He was an inspiration to who knew him. Thanks Sidney. Rest in Peace, your legacy will carry on.